“Among the nominations of seventy-one individuals or teams of individuals for Fortnightly Top Innovator 2018 were a half dozen executives who seem to fit into another category. These half dozen execs are not just innovative, but they have inspired whole organizations to embrace an innovative culture. So we thought to celebrate them, and that’s what my purpose is here, in this column. The half dozen are — demographically — three utility CEOs, two utility VPs, and an association EVP. The five utilities represented include two investor-owned utilities, two public power utilities and one cooperative utility. Two of the utilities are based in the southwest, two in the midwest and one in the northeast. Ben Fowke is CEO of Xcel Energy and though his company name would place him last alphabetically his own name places him first. The pages of Public Utilities Fortnightly have often highlighted Fowke, particularly for leading the industry’s charge in renewable generation, wind power especially. Fowke wasn’t nominated for this however. I suppose his push in wind power is now baked into how we view his company. No, he was nominated — along with his team — for pioneering the application of drones for maintaining power lines and wind turbines beyond where drone operators can see. This is so important to the industry’s future because, with this advance, drones can patrol power infrastructure wherever it is, across hundreds and thousands of miles and in all kinds of terrain. Inexpensively. Safely. Frequently. The Federal Aviation Administration was wary at first — about this beyond the line-of-sight business — but is now working with Xcel Energy and more and more utilities to revolutionize how we maintain the grid. Paula Gold-Williams is CEO of CPS Energy. She has often appeared in PUF as well, for transforming the utility serving San Antonio and environs, and for her perspectives on industry transformation. First, Gold-Williams held a Customer Centric Competition, dubbed C3, for innovations within and outside the company, including customers, tech firms and students. Anna Morton’s Talking Walls online platform took the prize, for accurately modeling building energy demand during peak hours. C3 spurred CPS Energy employees Jason Scarlett and Arun Schipse to hold EC3, for more innovations among employees on cybersecurity, enhanced drones, home energy automation, etc. And then, Gold-Williams enlisted EPIcenter, based in San Antonio’s Geekdom, as a hub for still more innovation. Steve Kidwell, an Ameren strategist would give all the credit to his inspiring CEO, Warner Baxter, but he and his team developed Ameren IdeaHub, to support and drive through to implementation the most impactful innovations. 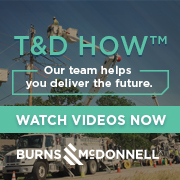 Then, they launched Ameren Accelerator last year, partnering with the University of Missouri System, the U. of Missouri St. Louis Accelerate program and Capital Innovators, a leading business accelerator nationally. In his spare time? Kidwell chairs the research advisory committee of EPRI. Did you hear about the ginormous industry effort to restore Puerto Rico’s grid after last year’s terrible hurricanes? Yes, probably. But did you know that Saul Rojas, a VP at the New York Power Authority, was on the ground in Puerto Rico with ten NYPA engineers, planners and tech supervisors — and New York’s Governor — to kickstart the restoration? On September 22, two days after Hurricane Maria hit. Rojas has been camped out in Puerto Rico most of the time since, helping to lead a large team from the New York utilities – Con Ed, National Grid, PSEG, Avangrid and NYPA – that grew to nearly five hundred people and over two hundred bucket trucks. I first met David Swank — CEO of Central Electric Cooperative — in the vast exhibition hall at the NRECA’s annual conference earlier this year. He sure does have a passion for innovation and is committed to making his utility’s base in Stillwater, Oklahoma a top tech center notwithstanding Stillwater’s distance from other tech centers on the coasts. Swank’s vision and drive made Innovation Pointe a reality, an impressive hub that is focused on smart infrastructure and economic development for rural America. Do you work at a utility? This year, we’re significantly raising the rate for individual subscriptions to Public Utilities Fortnightly and phasing them out for anyone at an organization with over a hundred employees – utilities and non-utilities alike. We’ll make it easy and economical for your company to sign up for an organization-wide membership that’ll cover any and all employees.